A charming tribute to Paganini. This rare work is thought to have been written after a concert Chopin attended during Paganini's 1829 visit to Warsaw. 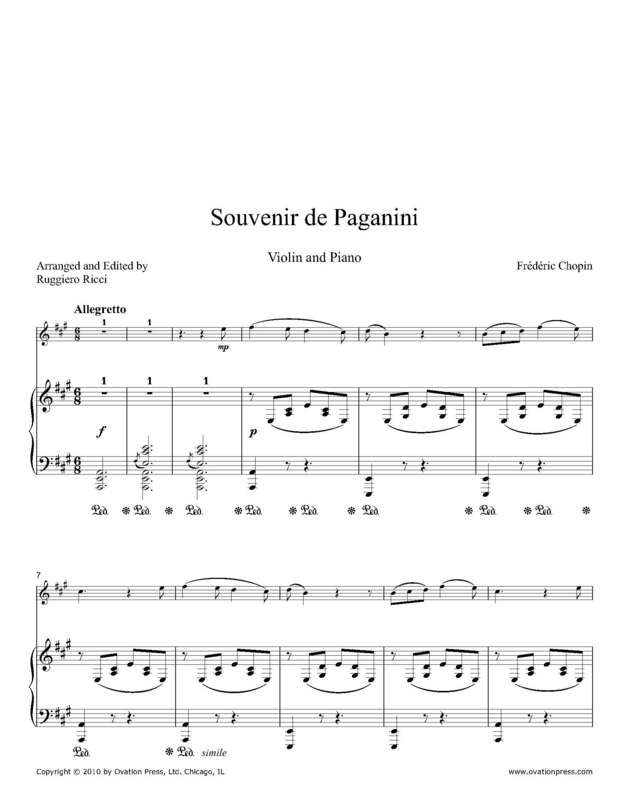 The virtuosity Paganini displayed in his performance of the Carnival of Venice inspired the 19-year old Chopin to write his own set of unusual variations on the melody for solo piano. The great Paganini interpreter Ruggierro Ricci has now created this new arrangement for violin and piano.